India is home to the largest number of billionaires in Asia. 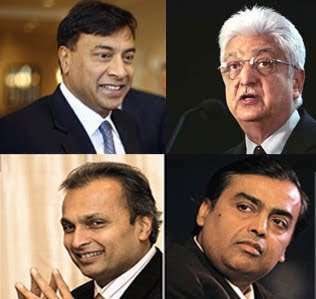 The four richest Indians are worth an astonishing $180 billion. Steel tycoon Lakshmi Mittal, who lives in London, is No. 1, worth $51 billion, but Mukesh Ambani, whose Reliance Industries is India’s most valuable company, is quickly closing the gap. His net worth jumped $30.5 billion to $49 billion, making him the year’s biggest gainer. His estranged brother Anil is close on his heels, up $30.2 billion to $45 billion. Fourth is Kushal Pal Singh, worth $35 billion after the listing of his flagship DLF, is now the world’s richest real estate developer. Together, the foursome is worth more than the 40 richest Chinese combined. About Lakshmi Mittal:Steel titan known for his dealmaking won six-month battle for rival Arcelor. The $34 billion merger created an industry behemoth that now accounts for 10% of world’s production, putting it well ahead of Japan’s Nippon Steel. Mittal owns 44% of combined $90 billion (sales) Arcelor-Mittal and is its chief executive. Mittal began his career working in the family’s steelmaking business in India. Today Arcelor-Mittal operations span more than 60 countries and employ 330,000. Not content to dominate the steel industry, Mittal is branching out. Among his latest deals: spent $980 million for a 50% stake in Kazakh oil firm Caspian Investment Resources, a subsidiary of Russia’s Lukoil. * This Londoner is the UK’s richest resident. * Mittal paid over $60 million (£30 million) to host his daughter Vanisha Mittal’s wedding celebration in Vaux le Vicomte on 22 June 2004 and an engagement ceremony at the Palace of Versailles on 20 June 2004, the world’s most expensive wedding ever. About:India’s richest resident derives much of fortune from petrochemicals giant Reliance Industries, founded by late father, Dhirubhai, now India’s most valuable company, with $100 billion market cap. Stock on tear since split with brother Anil and listing of oil-refining subsidiary Reliance Petroleum. * He gifted his wife Nita a jet plane worth Rs.284-crore(US$70 million) recently on her birthday. Education:Bachelor of Science degree from the University of Mumbai , MBA degree from The Wharton School at the University of Pennsylvania. * Still feuding with Mukesh: since 2005 split, has taken him to court. Recent ruling gives brothers 4 months to renegotiate a gas-supply agreement. Complained to stock market regulator that Reliance Industries was trying to sabotage his proposed listing of Reliance Power. About:Singh is now the world’s richest real estate baron after listing his real estate development company DLF in 2007. The offering helped triple his fortune to $30 billion this year, up from $10 billion. A former army officer, known as K.P., he joined his father-in-law’s Delhi Land & Finance in 1961. 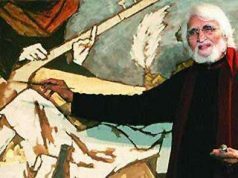 Singh later built DLF City in Gurgaon, his showpiece township on the outskirts of Delhi, by acquiring land from farmers. Over time, he transformed it into one of India’s biggest real estate developers. Group plans to raise another $1.5 billion by listing a subsidiary in Singapore. A keen golfer, he now leaves son Rajiv, daughter Pia to run operations. * Singh moved to Gurgaon which he saw because of its close proximity to Delhi emerging as a potential satellite city and almost single-handedly, converted a rural settlement into the magnificent 10 miles (16 km) wide DLF City, which today stands tall as Asia’s largest private township. About:Brothers run $5.8 billion (sales) Essar Group, with interests in construction, shipping, power, oil and gas. Became Vodafone’s partner in India last year in $19.9 billion deal. Own 33% of newly named Vodafone Essar; Ravi is chair. Extended steel business into North America with acquisitions of Minnesota Steel and Canada’s Algoma Steel. * Wedding bash for Ravi’s daughter Smiti drew 4,000 guests, including family friend Richard Branson. 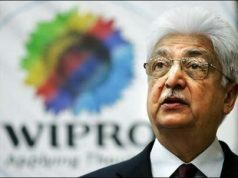 * Premji is known for his modesty and frugality in spite of his wealth. He drives a Toyota Corolla and flies economy class, prefers to stay in company guest houses rather than luxury hotels and even served food on paper plates at a lunch honouring his son’s wedding. * He Fly’s Economy Class. * Established the Azim Premji Foundation in 2001. It helps 1.8 million children through various programmes and he has ploughed billions into this charity. About:Derives fortune from Bharti Airtel, which he cofounded with two brothers and built into country’s largest mobile phone operator; now has 60 million customers. Also has interests in life insurance with Axa; fruits, vegetables with Del Monte Pacific and the Rothschild family. Wholesale cash-and-carry venture with Wal-Mart still to get off the ground. 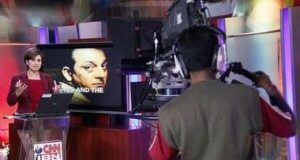 Plans to launch direct-to-home satellite television services. Mittal is currently president of CII, an influential industry lobby. About:Structural engineer moved into real estate in 1985 to build middle-class homes. His publicly traded Unitech, run by his two sons, is building a 350-acre community of luxury homes in Delhi suburb with Greg Norman signature golf course. Partnering with Marriot Hospitality on a chain of hotels and with Indonesia’s Salim group for townships in eastern India. Recently got prized national license to launch mobile phone services. About:Inherited commodities conglomerate Aditya Birla Group from late father 13 years ago. Expanded into financial services, telecom, retail. Last year acquired North American aluminum maker Novelis for over $6 billion and listed telecom arm Idea Cellular; now in court battling former partner Tata Group. * Birla let 350 vice-presidents, who were over 60 years old, go at one shot — unheard of in those days at the Birla empire. About:Tulsi Tanti is the chairman and managing director of Suzlon Energy, the $10 billion worth(market cap) wind power based company. He along with his three siblings owns 70% of the company.He is from Gujarat where he started his first venture which was in textiles, then he moved into wind energy production and founded Suzlon Energy. He is worth $10 billion as per Forbes.